During the summer of 2014 I had the pleasure to listen to Markham’s Mayor Frank Scarpitti on a couple occasions and each time I was pleasantly surprised by how often he referred to technology companies in Markham. 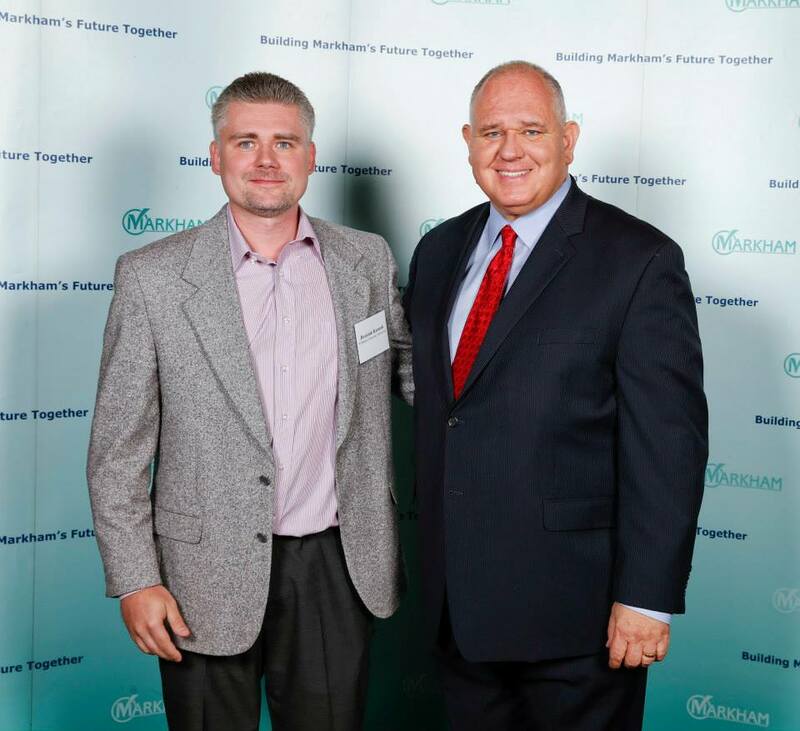 I bumped into Mayor Scarpitti at the beginning of the summer at a Young Entrepreneurs Awards ceremony. He impressed me with his equal knowledge of small businesses and large many of which are giving back to the Markham community or attaining international recognition. I learned something new that night about local Markham businesses which is always a good thing. The under 40 age group of business professionals that I still have one foot in is not afraid to invest in rapid growth while maintaining a strong sense of community. 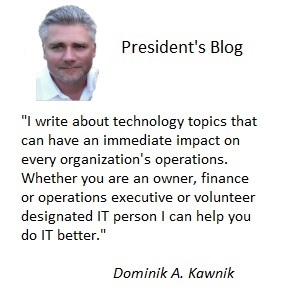 Anyone in the technology industry will appreciate the sense of community from community forums to various IT services associations because in a sense technology has always been about people helping people solve really big problems together. The sense of community was really great to witness among this young group of professionals. Websdepot is the corporate sponsor of the group organizing many of these local Markham business events including the Mayor’s Annual Luncheon so I had a front row seat a month later to hear what was in the works for Markham’s economic outlook. Mayor Scarpitti was all smiles as usual when I met him again just before the luncheon and he commented on my ever changing facial hair. After graciously posing with me for the photo below I went and found my seat in the massive Markham Hilton Suites banquet hall to hear what Mayor Scarpitti would say this year. I won’t bore you with all the details as unless you are a Markham based business or focusing on the Greater Toronto Area it may feel a bit like the Mayor was bragging but what really blew my socks off was that of his 15 minutes speech over 5 minutes was talking about the “Cloud”. Yes, that technology business that Websdepot is a market leader in for small and medium highly customized businesses that require fully managed enterprise private clouds as an affordable monthly service. Okay at least that’s one version of the cloud that we think just works but there are many others. He showed a quick video of yet another data center opening in Markham and clearly understands the “Cloud” as an advantage instead of just as a marketing term which many business owners get sold on. His figures on businesses on the cloud and economic returns were something not to be missed. I was so happy to see that Markham gets this and truly is working hard to earn that self declared title of “Canada’s High-Tech Capital”. Websdepot moved its head office to Markham in 2010 from Toronto and has never looked back. I knew the big IT and technology players called Markham home but little did I know that it was also such a great environment for small business technology companies to flourish. I must confess that I did not at that point expect that data centers would be popping up like mushrooms in and around Markham making our ability to deliver more and more value with scale as demand for Websdepot’s Eurapp Private Cloud platform grew. Based on Mayor Scarpitti’s outlook there are many more clouds in the future for Markham and with that increased competition, choice and innovation the local businesses of the Greater Toronto Area stand to benefit from for many years to come with a truly local cloud presence. Things have gone from your business needs to be on the Internet to your business needs to use the Internet to get to its cloud computing fast where mission critical apps run 24×7. Websdepot will play a small part in making this forecast come true and it is with pride that Websdepot calls Markham home. PS – Please don’t hesitate to contact me directly if you would like to learn more about Websdepot a real hands-on computer and IT service provider.